Smartphone power struggles: Will we ever have battery-free mobiles? 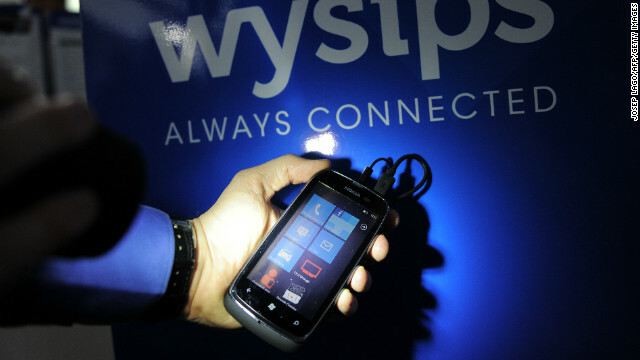 A worker of Wysips shines a torch on the screen of a prototype of a smartphone equipped with a photovoltaic film. (CNN) -- Mobile phones may be getting smarter, faster and more capable, but when their batteries run out just hours after you charged them, you'd be better off with a piece of string stretched between two empty soup cans. With battery performance becoming an obsession for many smartphone users, the race is on to innovate ways of prolonging power to ensure that juice-guzzling devices can stay the course. The good news is that scientists say that they are on track to create power cells that may rarely need charging -- or even phones that have no need for batteries. The bad news is that these may be several years away. Until they arrive, phone and gadget companies are scrambling for solutions to the problem which, in the absence of major technology announcements, was one of the key talking points at the planet's leading mobile technology showcase this week in Barcelona. 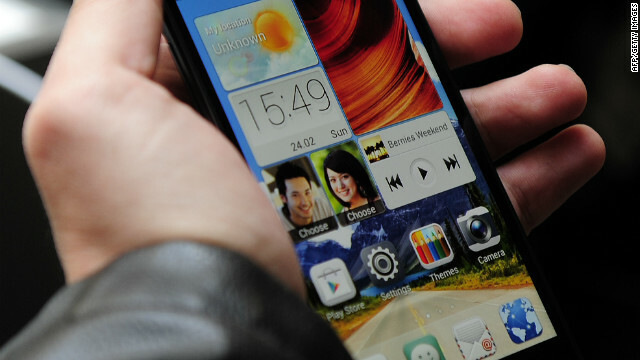 Chinese manufacturer Huawei's flagship Ascend P2 smartphone can be operated by users wearing gloves. 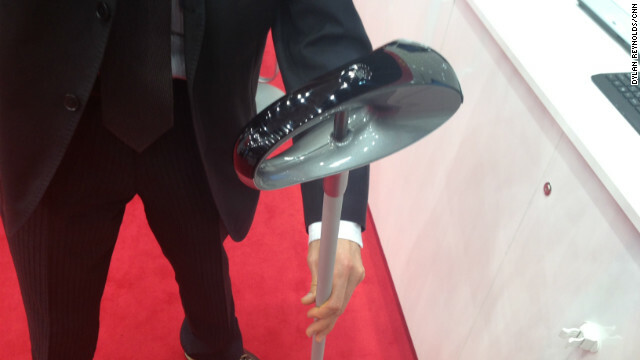 It's just one of the innovations on display at year's Mobile World Congress -- a showcase of gadgets and gizmos that will allow us to wave goodbye to dying batteries, water damage and a whole range of perilous situations that dare to threaten the lives of our beloved mobile phones. Sensirion's tiny temperature and humidity sensors will put a weather station in the palm of your hand. 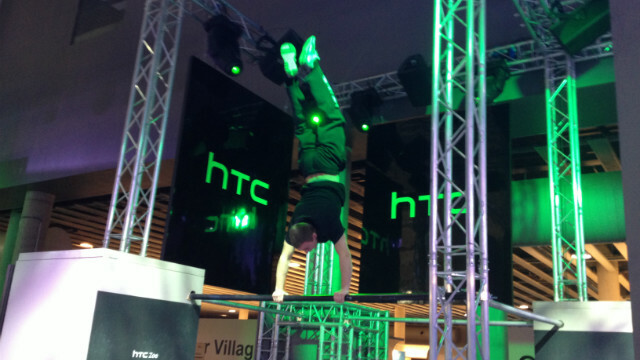 In the absence of any new phones, HTC offered acrobatic Parkour displays. Sony's Xperia Tablet Z is waterproof, making it ideal for using in the bath or outdoors in bad weather. The new Qualcomm Snapdragon processor comes with the ability to replicate a 7.1 surround sound speaker system via your mobile -- even through a pair of standard headphones. 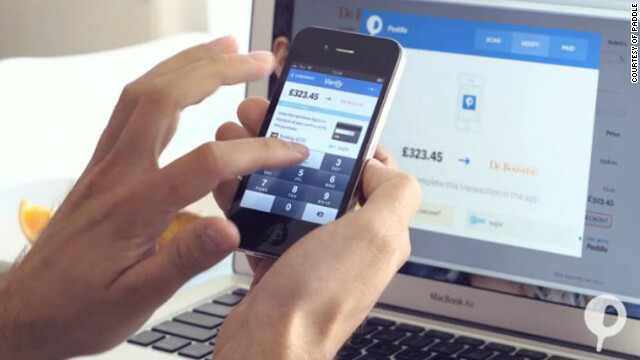 Paddle is a shopping system that tries to make shopping online easier and safer. The idea is that e-commerce sites add a "buy with Paddle" button at the checkout, simplifying the payment process. Nokia's 105 is a no-frills phone that just makes calls but boasts a 35-day battery life on standby. Sometimes it works just to keep things simple. Nvidia has been showing off real-time High Dynamic Range photography capabilities that automatically adjust a picture for light and dark areas on the fly. 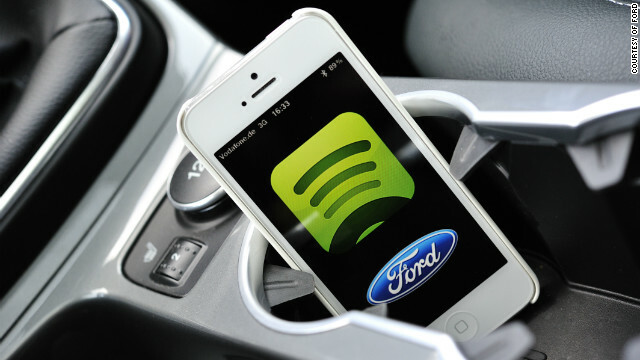 Ford has teamed up with Spotify to bring the music-streaming service to its Ford Sync AppLink cars in Europe. It's Ford SYNC AppLink allows drivers to control smartphone apps from the driver's seat, using voice control. 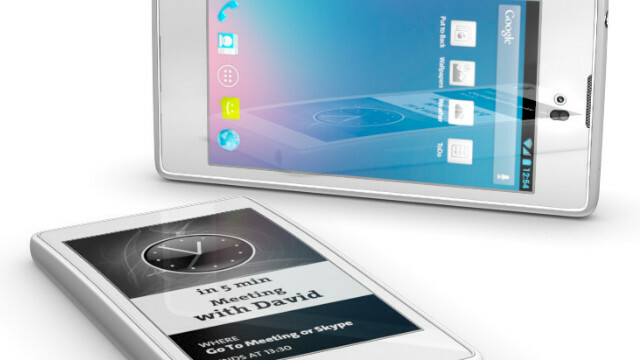 FonePad, Phablet, call it what you will -- the phone-tablet hybrid is the next step in the evolution of mobile technology. French start-up Wysips has developed a transparent film (costing just over one dollar to make) that could bring an end to the dreaded dead-battery message forever. A photovoltaic display will let you charge your phone in the sun or even indoors via ambient light. 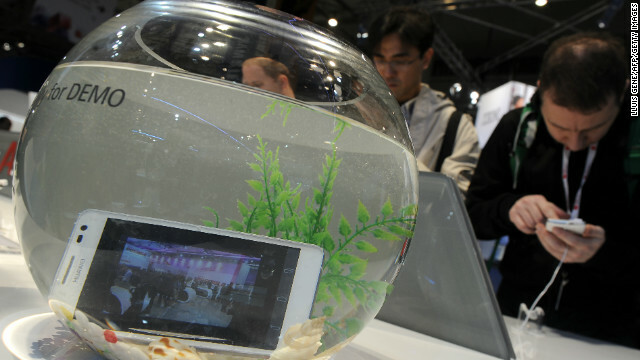 Chinese tech giant Huawei exhibits its water-resistant Ascend D2 smartphone in a fishbowl at their stand at the Mobile World Congress. 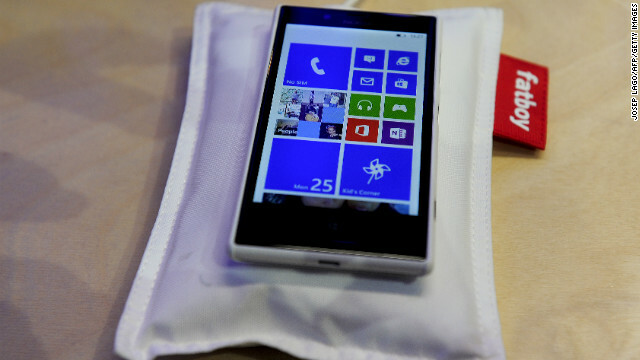 Nokia's wireless charging device is a pillow for your phone to rest on so that "it will wake refreshed and recharged". It is co-branded with Fatboy designer furniture and comes in a range of colors. 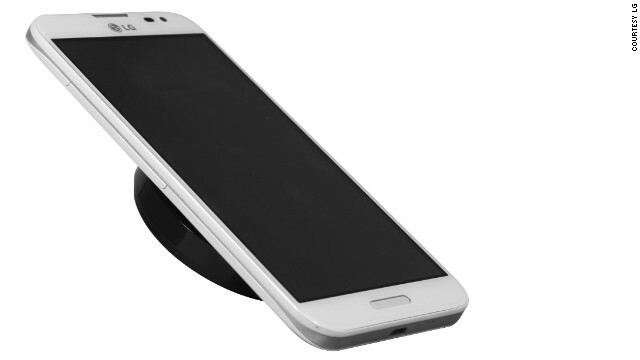 LG introduced the world's smallest wireless charger at the show -- just 6.9cm in diameter. There's no need to worry about somebody sneakily reading your private messages ever again. Fujitsu's new flagship smartphone, the Arrows V F-04E, has "biometric security", which requires your fingerprint to unlock the phone. 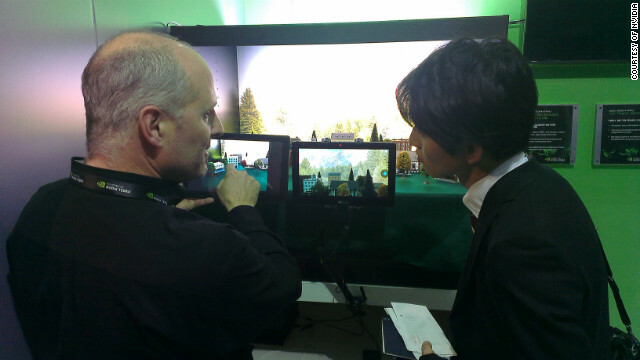 The 'phablet' seems to be MWC 2013's must-have item. 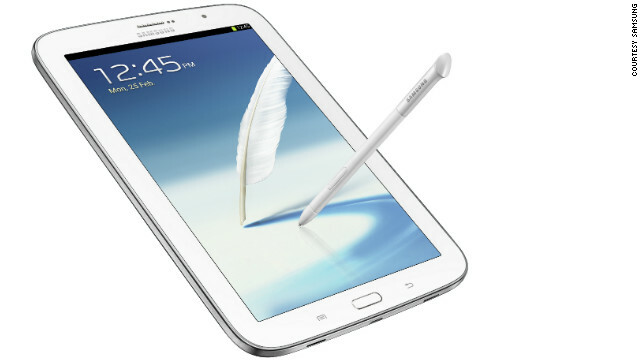 Samsung's Galaxy Note 8.0 is an eight inch tablet with phone capabilities. 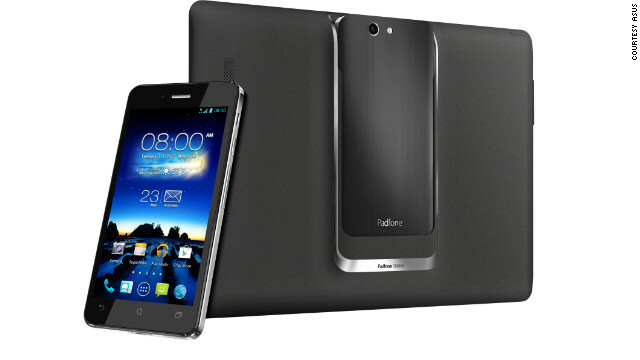 Asus' phablet is the PadFone Infinity: A five inch smartphone that, once slotted into a dock, becomes a 10.1 inch tablet. 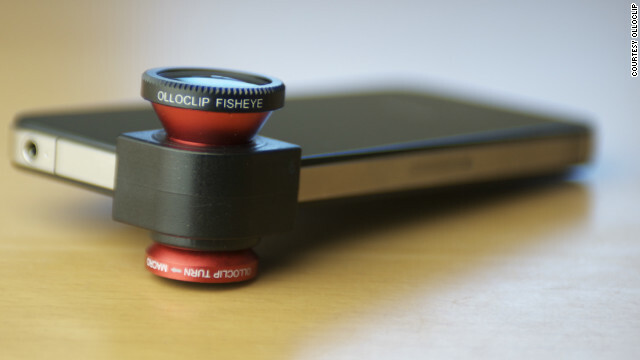 The Olloclip is the iPhone photographer's dream gadget: A quick-connect lens for the iPhone and iPod touch that includes fisheye, wide-angle and macro lenses in one. A flamenco dancer performs for visitors at the Mobile World Congress to demonstrate the imaging capabilities of Intel's latest smartphone design. 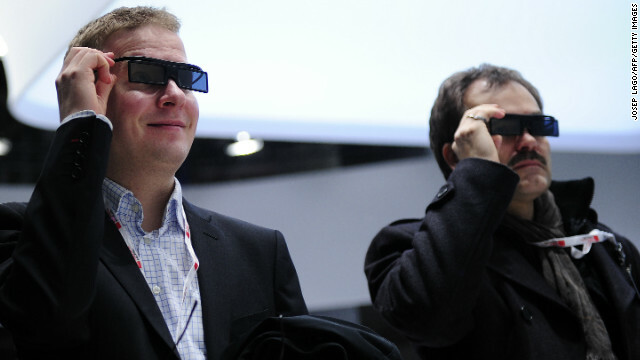 Two men test a new Samsung 3D device during the first day of the Mobile World Congress. 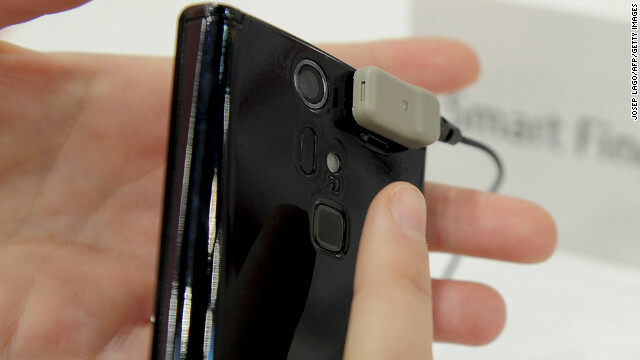 "Power supply is the giant elephant in the room here," says CNN's Dylan Reynolds, who has been struggling to keep his own handsets alive while tweeting and reporting from the 2013 Mobile World Congress. "Phones get more hungry as they get more powerful, but my own experience tells me that battery life isn't keeping up. "Everywhere I go at Mobile World Congress I hear people complaining that their phone just died, or is about to die. I've started carrying a large and heavy external battery to make sure my phones make it through the working day." Tell us: What's your dream smartphone feature? The problem has prompted the event's organizers to deploy charging points around the huge venue. It also led to manufacturer Nokia causing an unlikely sensation by announcing a no-frills retro phone capable of lasting a month between charges. "But that's just treating the symptom and no-one seems have a solution to the underlying problem," Reynolds adds. 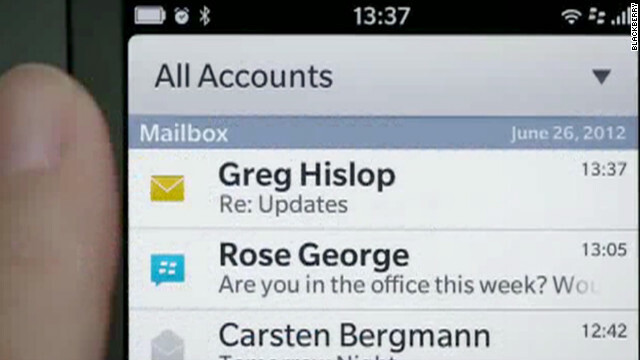 "I think that's why Nokia's phone grabbed so much attention. It also underlines the trade-off between the sophistication of your phone, and battery life." Malik Saadi, principal analyst at Informa Telecoms & Media, says the industry is "coping rather than solving the problem," and says there is no breakthrough on the horizon. 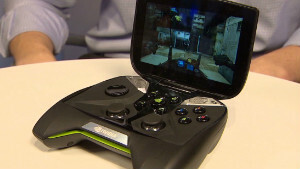 "We are still seeing the same battery cell technology that we saw back in 2003," he said. "Typically we expect one day usage from a fully-charged battery. "Although the architecture within the batteries has changed, and the number of cells within the battery has increased, the actual technology is the same. "We need a revolutionary or new type of battery, for example fuel cells, but unfortunately those technologies have not been able to make it to the marketplace because they are expensive, and they're also too big to fit into the phone." And so he said the industry was relying on the consumer to adapt their behavior. 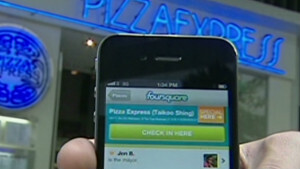 "Consumers are adapting. They know they can't do anything about it, so they're learning ways to cope." One current coping mechanism is solar power. Phones fitted with solar back panels have been around for some time but most are barely capable of keeping the phone on standby. 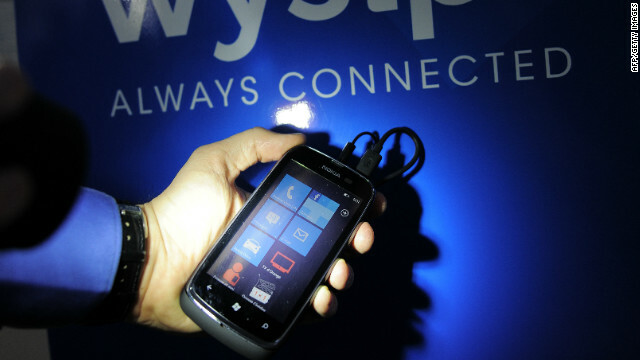 This year's MWC saw French firm Wysips unveil what it said was the world's first viable solar touch screen. The transparent photovoltaic film can be installed on most smartphones to generate power while still allowing users to operate their device. Wysips says its 0.5 millimeter-thick screen can be plugged directly to the phone's power inlet to provide an extra four minutes of battery life for every 10 minutes it is exposed to direct sunlight. It can also charge from artificial illumination. While this will merely assist in stretching phone life, the company says it is working on more efficient models which could one day be fitted as standard to mobiles and perhaps virtually eliminate dependence on mains electricity. With the increasing popularity of cable-free charging pads that allow devices to soak up juice from a mat (or even a pillow), the Wireless Power Consortium is lobbying to standardize such systems so that any phone can access any charger. Current charging pads are generally dedicated to one product or brand, but if these become generic then they could be integrated into a broad array of surfaces in public spaces, offices, restaurants, bars or cafes. Despite Saadi's gloomy outlook, potential answers to the battery problem are beginning to take shape in laboratories. Scientists at the Massachusetts Institute of Technology are developing new long-lasting power cells that they say will be capable of charging to full power in a matter of seconds. Using nanotechnology, MIT's Professor Joel E. Schindall has laid the groundwork for what he calls a "synthetic battery," a power cell that, instead of the chemical reactions used in standard units, stores charge in a forest of tiny carbon "nanotubes." Elsewhere, some innovators are experimenting with devices that draw power from the human body's kinetic energy. Such technology is already used to power watches, but scaling this up to the level required by smartphones is difficult. But one team from the Georgia Institute of Technology have created a new technique that uses bodily movement, such as footfalls, to generate static electricity that can then be harnessed in quantities that could viably charge larger devices. Such solutions are clearly some way off commercial development, but with Apple rumored to be designing its hotly-anticipated iWatch around a power source based on kinetic and solar power, a battery-free world isn't such a distant dream. 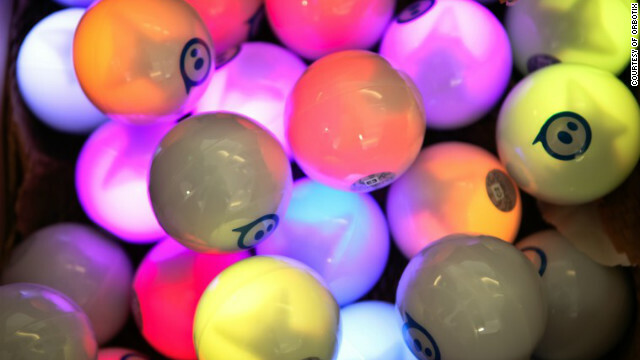 Mobile World Congress offered up robotic balls, GPS walking sticks and more than its fair share of unexpected uses for digital technology. Will we ever have battery-free mobiles? With many smartphone users groaning about battery performance, scientists are racing to design phones that never need to be charged. 3D screens, flamenco dancers and endless batteries: all the latest innovations being unveiled at Mobile World Congress in Barcelona. Yahoo's decision to curtail remote working has stirred dismay at a time when many companies are striving to enable telecommuting. Will mobile kill digital advertising? The industry has repeatedly promised a "mobile advertising tipping point," but mobile advertising is yet to come of age. Didn't we tell you that the lines between smartphones and tablets are blurred? 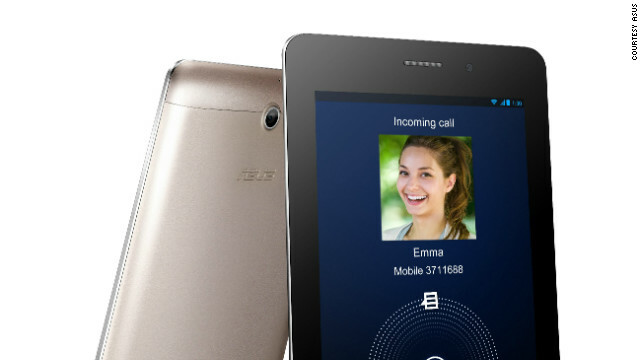 Case in point: the Asus Fonepad, a 7-inch tablet that's also a phone. In the not-too-distant future, you'll receive a full diagnosis and cure from your smartphone before you have even realized you're unwell. The next generation is just a few weeks away for the world's hottest smartphone without a piece of fruit on it. 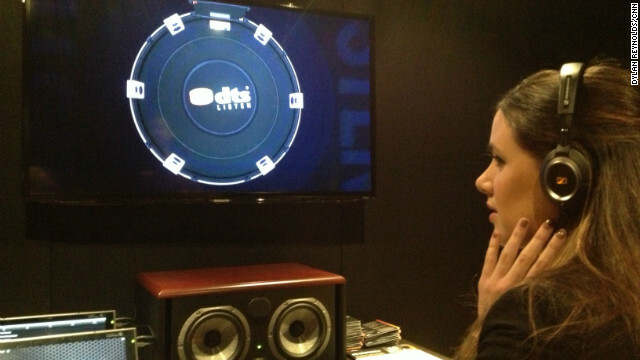 CNN's Kristie Lu Stout explores Barcelona, Spain -- home of the Mobile World Congress 2013 -- using only her smartphone. 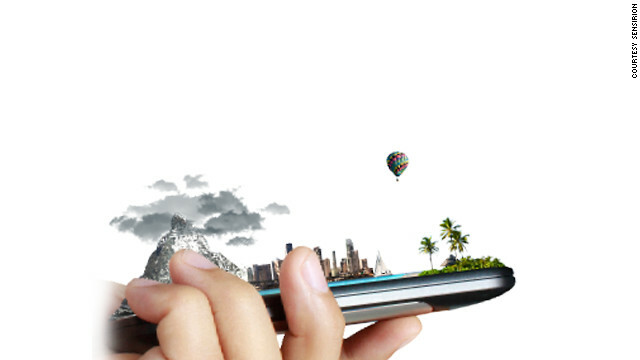 As CNN heads to Mobile World Congress 2013, we're asking readers what features they want to see on the phones of the future. Is it time to start carrying two mobile phones? 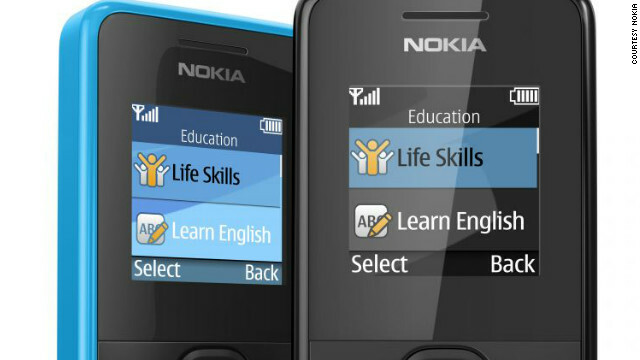 At least one manufacturer is hoping more people might soon be relying on multiple mobiles. In the future we will have screens not just in the palm of our hands, but all around us, according to Google's Director of Android User Experience. Google Glass: for our eyes only? Wearing spectacles that record our every move could be the end of privacy as we know it, says internet commentator Andrew Keen.